Villa Le Pleadi is a newly refurbished villa facing the beach in Santa Margherita di Pula, directly on the beach. The garden is enclosed with the lawn leading down to the fine sandy beach. The villa is on 2 floors and sleeps 10 people with 5 bedrooms and 5 new bathrooms. Wooden floors and sea views from every bedroom add a special charm to this house. The beach, so close, creates a magic frame to this Mediterranean retreat. The bedrooms: 4 double bedroom with en-suite bathrooms and one single bedroom with private bathroom. 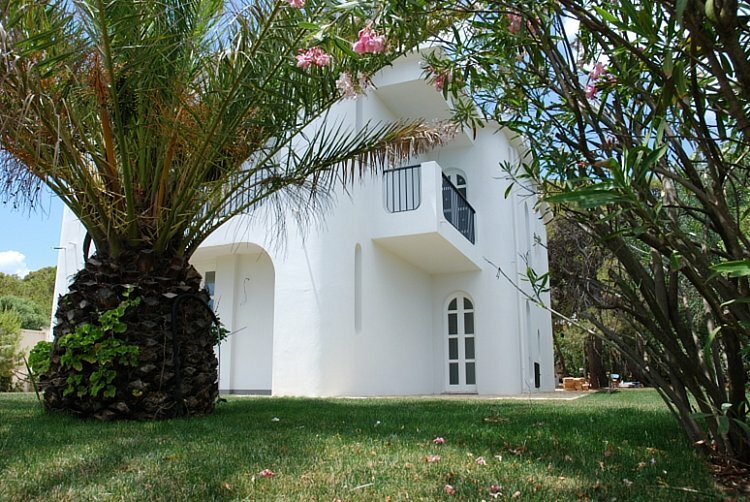 A 1,000 m2 garden surrounds the villa. Cagliari airport is 30 min away by car.